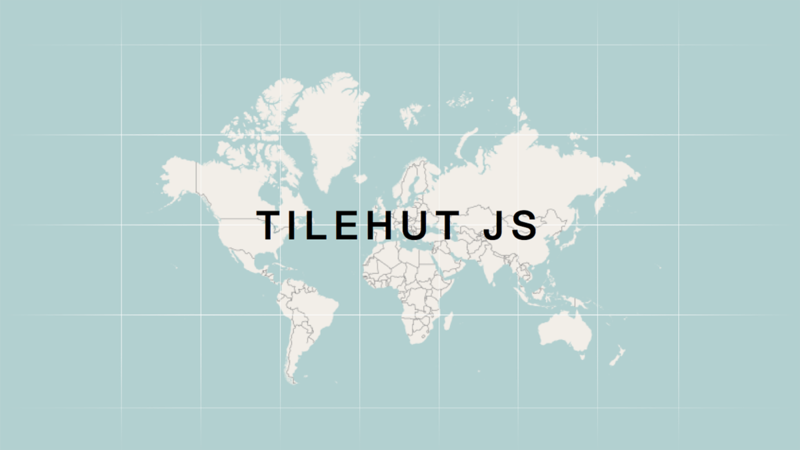 Tilehut.js is a modest, but cozy home for your map tiles. Take all the best things about the interactivity of the web and couple it with the exploratory nature of maps, and you get the modern web map tile. Tiles are one of the fundamental building blocks of modern web maps, providing a clever solution to zoom, pan, click, and interact with the infinity of discoverable things living in geospace. Underlying map tiles is a tasty combination of awesome technologies like Mike Migurski’s Tilestache and the brilliant tools being built by Mapbox. Drawing from these inspiring developments in the web mapping world, we bring you Tilehut.js, a modest but cozy home for your map tiles. Tilehut.js is built to serve the tiles for your average web mapping project and is essentially a simple wrapper around Mapbox’s node-mbtiles. Tilehut.js is indeed a humble tile server and is certainly not a replacement for hosting more demanding or bigger projects.